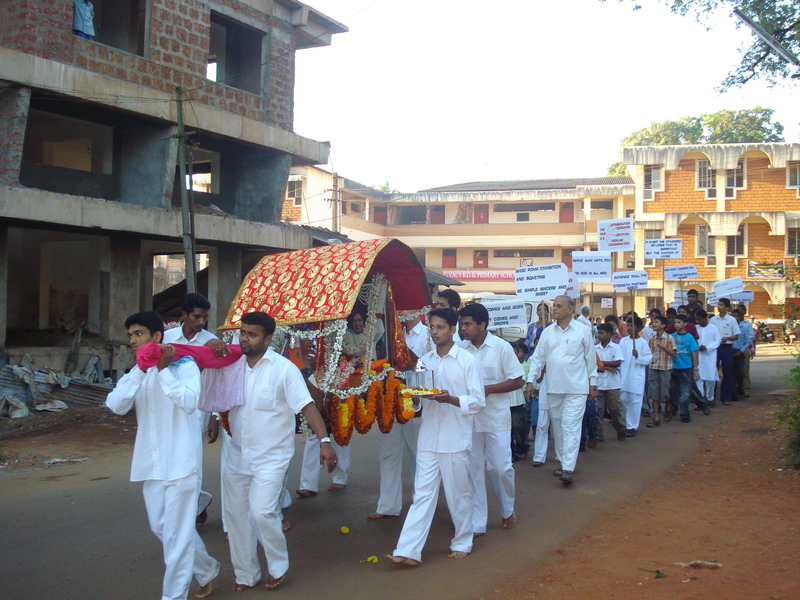 On the eve of birthday celebrations of Sri Sathya Sai Baba and arrival of Sai Jyoti at ponda, samitis of ponda and vasco organised Sai rally (spiritual procession by singing bhajans) in the city during the early hours of sunday. 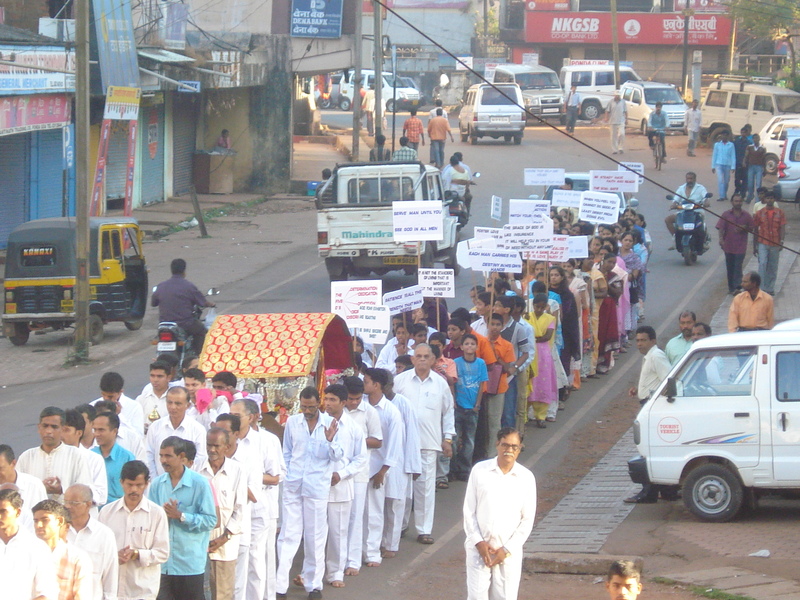 Devotees from all the samitis joined in the rallies. Both the processions began at about 7am. 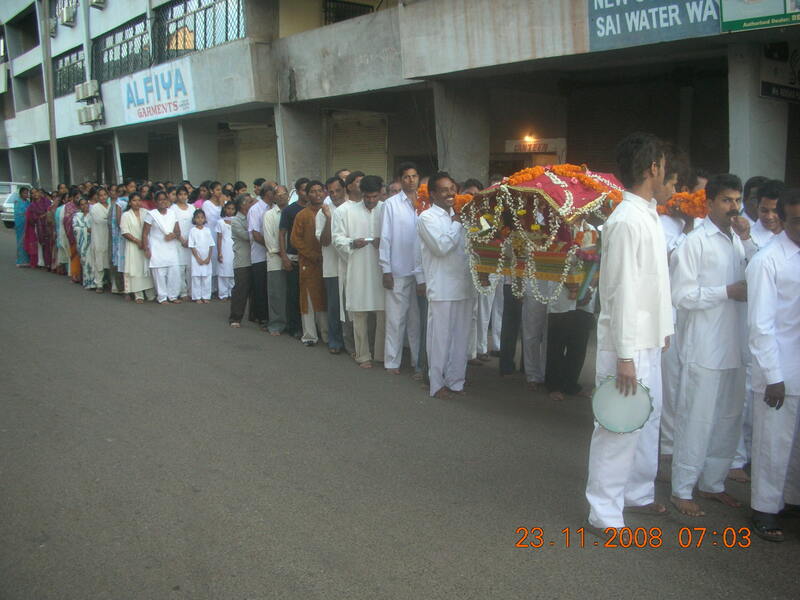 The palki decorated with flowers, in which was the photo of Swami was picked up and rallied throughout the city. 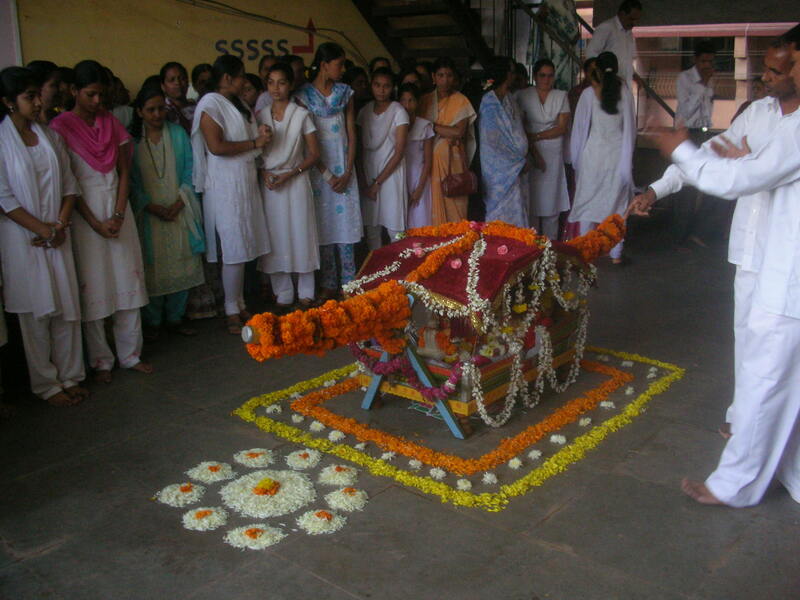 Also the sai jyoti followed it (in ponda). Gents led the way followed by the palki and ladies. 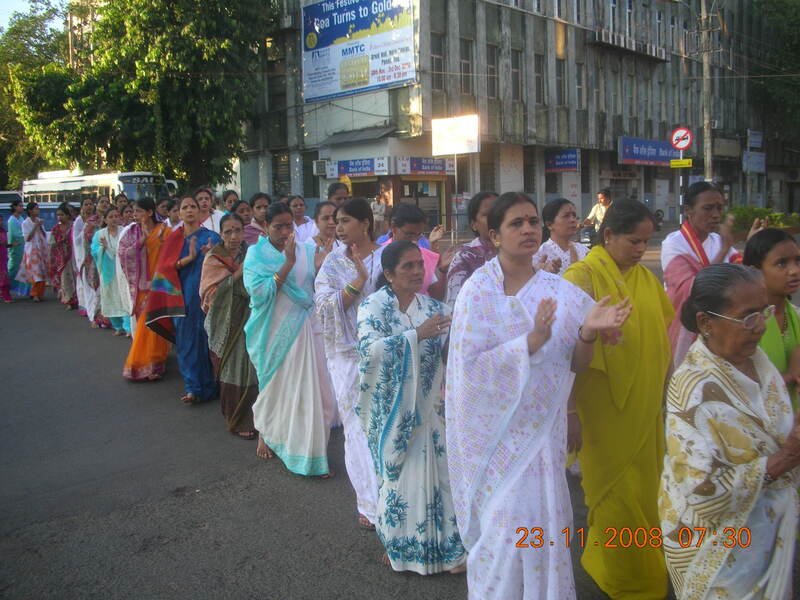 Devotees walked along the city roads singing bhajans of all religions and gods. 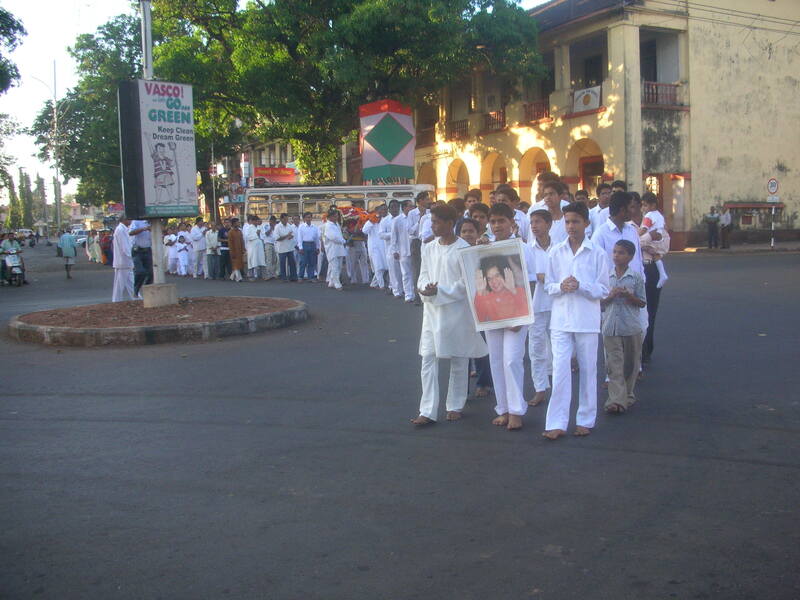 At about 8:30 am the rally returned and ended with aarti of palki.